My dear friend Kathy (same great name but not my blogging OurTriVista sista) surprised me with this thank you gift. I love it! She is an artist extraordinaire writes, paints, weaves, decorates…you get the picture. ‘Life as art’ is SO Kathy! 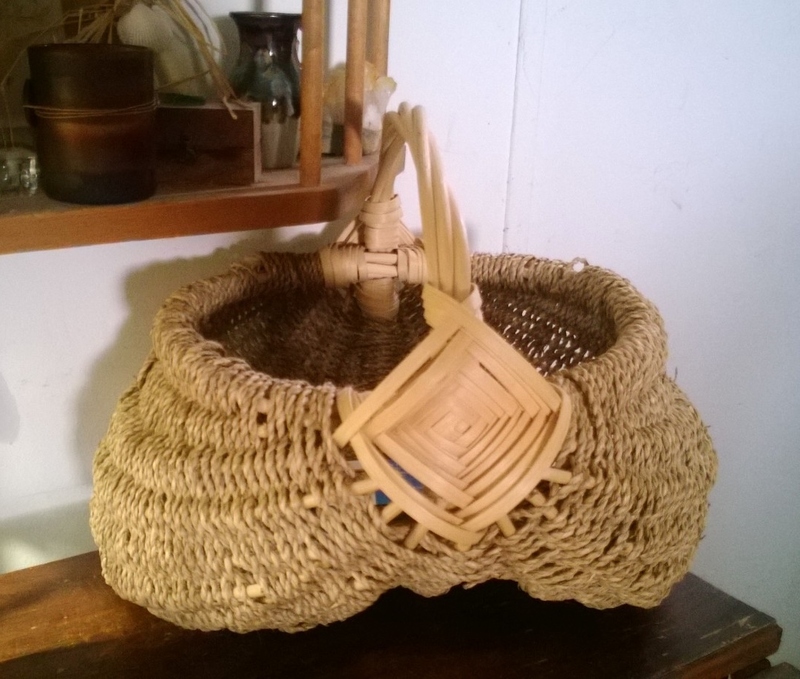 I admired this basket at a recent local Gallery show she had and now it’s nestled on my bedroom floor holding books. Thanks Kath—your art always inspires me! 15 Sep	This entry was written by Laura and published on September 15, 2013 at 3:59 pm. It’s filed under Creativity, Friendship, Gift, Gratitude, Just for fun, Laura, Lifeology. Bookmark the permalink. Follow any comments here with the RSS feed for this post. The basket is SO different, Laura…and doesn’t the surprise make it even more beautiful?